Margaret Deluhery, age 90 of Prairie du Chien, passed away Tuesday, November 20, 2018 at her home surrounded by her family after a brief illness. Margaret Ann Dawson was born January 17, 1928 in Dubuque, IA. the youngest child of Frank and Loretta(Foley)Dawson. She met the love of her life Dale Deluhery, in Des Moines, IA. and they married on October 1, 1951 at St Ambrose Cathedral. 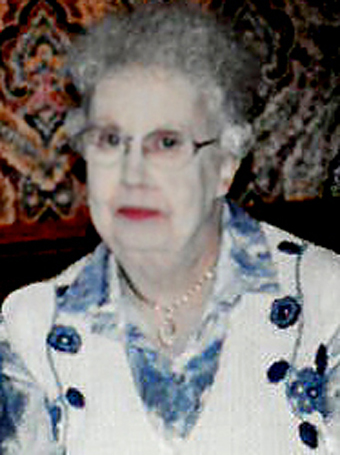 Throughout her life she enjoyed camping, cooking, baking, and playing cards. She was a great lover of animals and supported many charitable causes. A devout Irish Catholic she relied on her faith in times of difficulty and hardship, and was a true inspiration to her family. of Prairie du Chien and Ann Deluhery of Madison, WI., her Grandson Tim Deluhery Jr. of Marquette, IA. Two nieces and two nephews and her special companion Chi-Chi. She was preceded in death by her parents, her husband, her brothers Jack and Lynn Dawson and her sister Mary Berkley. Her sister-in-laws Betty Dawson, Dorthy Dawson and brother-in-law Joseph Berkley. A Memorial Mass of Christian Burial will be Thursday, January 3, 2019, at 11:00 am at St Gabriel's Church of the Holy Family Parish with interment in the Calvary Cemetery both in Prairie du Chien. Friends may greet the family at the church from 10:00 to 11:00 am. A celebration of Margaret's life, for family and friends, will be held from 1:00-6:00 pm at the Eagles Club in Prairie du Chien, where both Dale and Margaret were long-time members. Margaret's family wishes to thank everyone, who through word or action reached out in support during this difficult time.